Battered and bruised by the violent Mayon Volcano eruption of February 1, 1814, a morning that started when the town folks are busy preparing for "Candle Day Mass". In an ironic twist, the candles weren't lighted inside the church, rather a huge fireball erupted from the mouth of Mayon, which eventually took the lives of more than 12 hundred people, who made the mistake of running for shelter inside the church, hoping that their faith reinforced by the church's stone foundation would save them from death. Massive pyroclastic flows (lahar) flowed like waves from the ocean, burying the old town of Cagsawa. The aftermath was so horrendous, historians could only shake their head imagining the sight that befell on this once scenic and quaint town. We arrived there from Daraga Church at around 8:00 AM, and with the somber sky frowning upon us, a thick blanket of clouds covered Mayon Volcano perfectly, to the point one will not suspect its even there. It was like a hand of God moved it elsewhere and only the sole bell tower of Cagsawa exists. At first, a sigh of rejection reigned over me as I've always wanted to see Mayon up close, as I've gotten tired of seeing it only on postcards and as early in my childhood, on history and geography textbooks. I told myself that I didn't sat on a bus for 8 hours coming from Manila to Naga and then another 2 hours going to Legazpi only to miss it by chance with no one to blame but the riptides of the Earth's sky. But as we were met by a young boy who moonlights as a tour guide slash photographer, he walked us through the ruins of Cagsawa, although its story has been told to me years before and already was stored in my mind's knowledge vault. The way he recited its story to us, brings forth a new found appreciation of why I was there. As the young boy was saying "the ground you're stepping on is actually the upper half of the church, and underneath at the bottom of the original church is where the people died in the aftermath of the eruption...." It then became clear to me that, even though I missed seeing Mayon Volcano, being at its foot, at the mere presence of its guard - the Cagsawa ruins, makes the whole trip worthwhile in a lot of sense. The surrounding of Cagsawa makes up for a very eerie setting, it can get quite unnerving and from the vastness of space that separates itself with the Mayon Volcano, a person with unique supernatural abilities can possibly hear or feel some fragments of left over shizzles of frequency from the past. The cries of those who were trapped inside Cagsawa echoing hopelessly as the lava flowed rapidly, their feet cemented and unmovable, with the approaching death slowly shaping up as their only salvation for a stoppage in unbearable pain and suffering. Large portions of rocks from past eruptions are embedded to the ground, forever rooted within the soil, which was covered with a soft growth spurts of grass. While a wooden cross is erected at the back end of Cagsawa facing Mayon Volcano. Probably, a last ditch effort to appease the volcano from erupting with fervent, violent onslaught again. The mystery, the enigma and the history of Cagsawa brings a loud ovation to the senses. It is mythical in its own, it transgress from beyond. The scenic surrounding may be acknowledged as a romantic setting, however it lurks a dark and shadowy past, that proves that the Earth and its inhabitants has this love and hate relationship. It can destroy everything on its path one moment and then afterwards it'll leave a place, no matter destroyed, whatever state of ruin it was left, with a new-found fervor. Like a guardian of the invisible bridge between us and the Mayon Volcano. Cagsawa Ruins, just like its mythological version of Heimdall, stands guard to the finite world of Mayon's "Asgard". The Cagsawa is now reduced to a ruin of what stood imposingly but has remained as a reminder of how brutal forces of nature could be. The horror it brings remains unimaginable to everyone who had set foot on this place. As the cold wind blows against my face, a parade of peaceful energy evokes my surrounding, I wonder if it was the calm before the eruption, I hope not, I wish and for everyone's sake including what remains of the Cagsawa, Mayon Volcano would not erupt with volatile and fiery rage like it did that day back in 1814. Halloween is just around the bend, for those wanting to tour haunted and other attractions that brings a dark theme, there are a lot of places to go to in the United States like the Scaremare in Lynchburg, Virginia, Haunted houses in Amytiville, New York and Netherworld in Norcross, Georgia to state a few. Avail of cheap flights to the USA to experience dark tourism as you've never experienced it before. 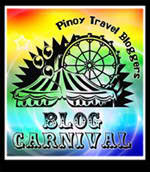 This is my entry to the October 2011 edition of the Pinoy Travel Bloggers' Blog Carnival. The theme for this month is "Tales from the Dark Side of Travel" (which features sites, attractions and exhibitions which have real or recreated death, suffering or seemingly macabre as a main theme) hosted by Gael Hilotin of The Pinay Solo Backpacker. something so haunting with the way you describe the ruins. good that the young boy did his research too, to explain the history of Cagsawa. there will always be a next time. even if it did take you a lot of time to reach Legazpi and not see the Mayon, I think the view was good enough for you. all the more reason to go back to Mayon. When I went there last summer, the place was full of tourists. Nakakawalang gana mag-take ng photos because other than the fact the Mayon was nowhere to be found, the grounds already too commercialized and people roamed every part of it. @Gael - yeah mas effective nga yung hindi ng hihingi upfront mas masarap mg bigay ng voluntaryo. Sayang nga should have come earlier, but the kid told us na ganun nga raw kasi cloudy talaga coz of typhoon Mina's left over clouds haha. @Rob - cheers, di mo ren pala nakita ang Mayon. When we went there only a few people were around, pero ung pauwe na kami may dumating na mga 3 van. 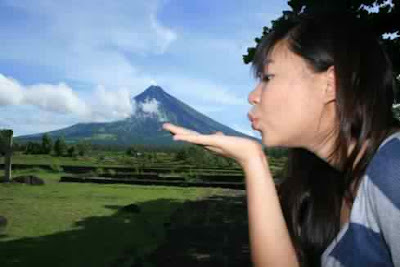 @Edcel - I will definitely go back to see Mayon and also deretso na sa Donsol to see the Butandings. I am sure the poor souls who died in this eruption did so instantly. Crazy how massive volcanic eruptions can alter history and provide amazing stories. The volcano at Mount Agung in Bali, on eruption in the 40's, missed the temple that sits at its base by inches. So they say it is sacred. And imagine the eruption in Naples at Mount Vesuvius! So many intriguing stories! I love the pic of you recreated in the old times, nice Photoshop work! Hi Mica - the second and third photos are actually "old" photos I got online. :) I'd love to see that temple in Bali someday. Sounds interesting. What a fascinating place. Your photos and your words paint such a wonderful picture. Great entry! Where's your pre-requisite vogue shots on the ruins? Amazing photography, great blog! 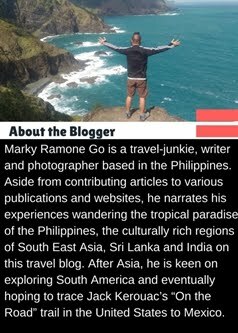 We are fellow UBC bloggers and love your travel site. @Aussie - Thanks mate. Also another thanks for including it on your recommended reads list. @Lauren - yeah around the same age as Andoy's too. What did you do to your candies? @flip - Thanks Flip, you can always go back after your epic Asian backpacking trip. @Carolina - thanks for visiting, nice to know other bloggers from the many parts of the world. Cheers. 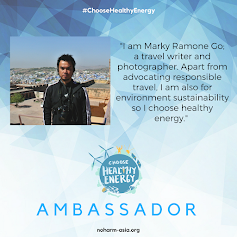 You sure are enlightening me to the Phillipines, an area not widely known down here. Interesting how you have pictures of the ruins throughout history and now what it looks like today.